wEUnite is a team of young Austrians that applies for projects and organizes them. Last year we managed to host one youth exchange and two training courses on which we had 90 participants. The main reason why we are able to make this work besides being a full-time student is because we are friends. When you spend your freetime with your friends all the work we have doesn't feel like work anymore. After our two training courses in August (SpeakUp!) and September (In ya face(book)) and writing another application for a TC in February (KeepCalm!) 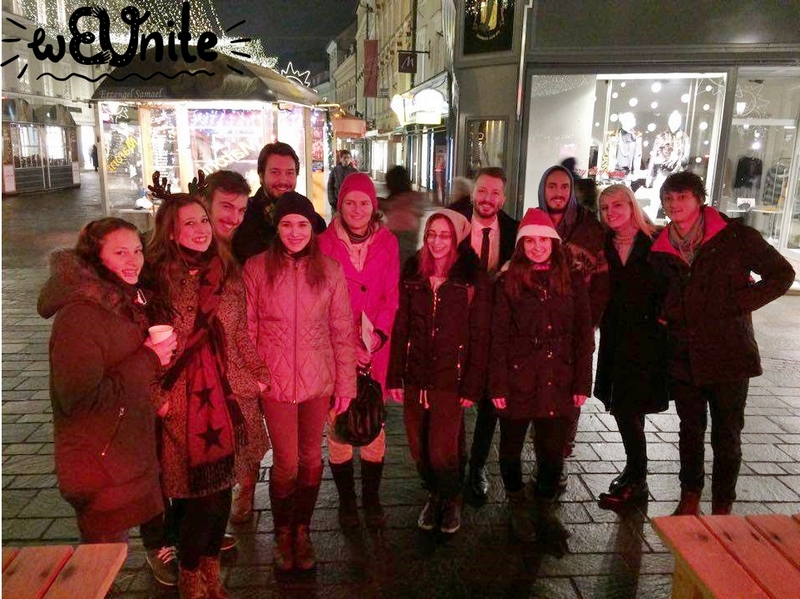 we celebrated a successful "wEUnite-year" at our local christmas market :) As you can see our group grew bigger and bigger as young people from Klagenfurt liked what we do so much that they decided to join this organization. "I am happy to be part of wEUnite. Thanks to that I gained a lot of experience that I will never forget!" 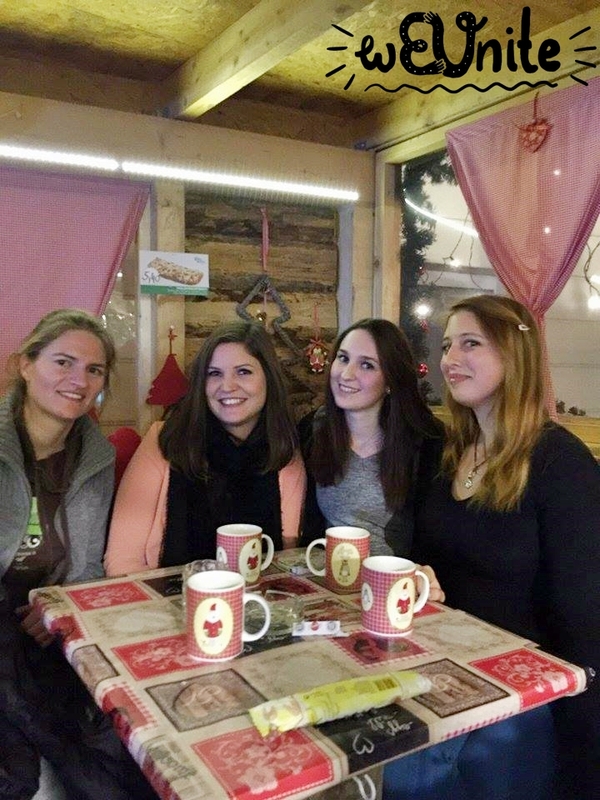 "Great people and awesome trainings with really interesting topics, where you always meet new, amazing friends!" members. On the projects they put a lot of effort in making the week great and memorable for the participants. You can feel that those two are passionate about wEUnite and stand up for it, which makes it something unique." "wEUnite - the chaotic group! We're going into every project with lots of energy. Connecting cultures - open-minded - warm-hearted. Three strong characteristics to change the world into a better place!" 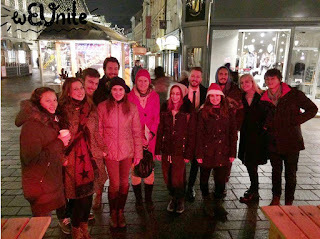 "Dear wEUnite-team, thanks a lot for letting me celebrate with you, nice people!" 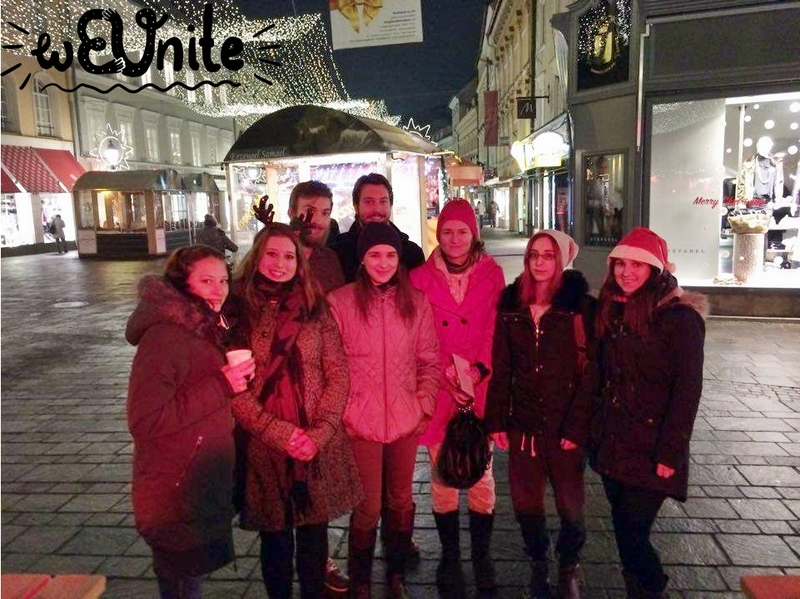 "wEunite, unfortunately, due to various reasons, I couldn't take part in the projects you hosted here in Austria. I had the chance to design the posters for them, though, and by doing that was part of wEUnite's projects. I hope that this is going to change and I will be able to be a participants! Thanks for all the happiness & merry christmas!" "A great year behind us. A new year full of new ideas and projects before us. wEUnite grows and it's becoming something even more beautiful." "We are young, we are active, wEUnite!"